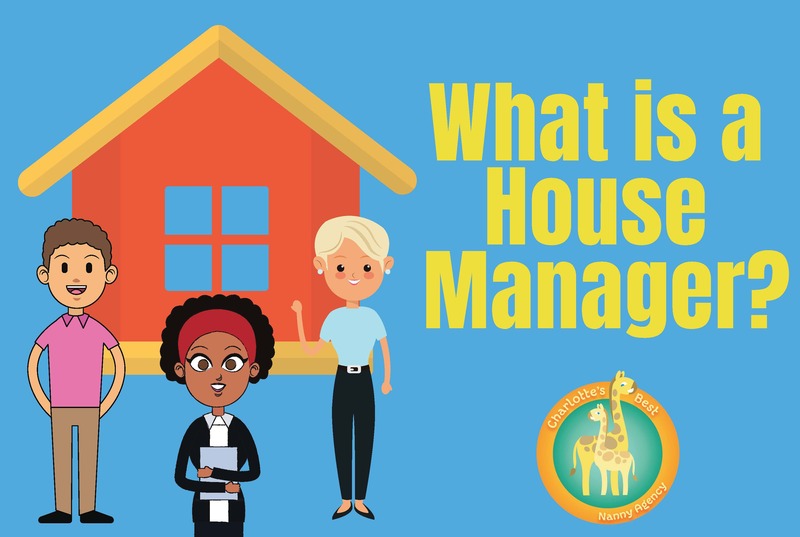 What is a House Manager? A house manager is responsible for handling the daily operations of a house and responding to the home owner’s needs. House Managers typically supervise and manage things happening daily around the home. Their tasks would include things such as setting appointments for home repairs and maintenance, supervising any household staff, keeping an inventory of the house and restocking things as needed, making sure the house stays neat and organized, running errands, managing bills, and accounts of the home, providing house sitting and pet sitting duties and other tasks as assigned. The ideal skill set needed to be successful in this profession includes good communication, organization and leadership capabilities. Communication is a skill needed in any management position and one of the most important aspects of this job. House managers must be able to create clear and open lines of communication between themselves and residents to ensure that all the home owner’s needs and concerns are handled quickly and efficiently. The house manager is the point of contact for outside businesses and service providers, so it’s imperative that they clearly communicate with the homeowners about any needs the house may have, such as construction or cleaning. A good house manager must be responsible. They will be in a role where many people depend on them for guidance regarding house rules and regulations. They should be able to handle any tasks thrown their way in a timely fashion and delegate assignments clearly to other staff for the completion of house-related projects. Along with responsibility, house managers must be organized. They are responsible for maintaining and documenting everyday operations, such as maintenance and food services, and questions/concerns from house members and staff. Multitasking is key! Deadlines must be met efficiently and effectively. Leadership is an important skill house managers must have. The home members and staff will look to the house manager as a point of authority on all house-related issues, so they must be a strong leader who can command respect. This quality is especially important when managing a house with students or younger individuals. Lastly, a house manager might be privy to sensitive personal information, such as medical files or financial history. That being said, discretion is a must when house managing. Homeowners trust that the house manager will keep all information private. Confidentiality is very important in this relationship. Charlotte’s Best Nanny Agency is assisting a family in Asheville, NC in finding a full-time live-in House Manager/Nanny. The House Manager/Nanny would be needed between 7:00 am – 7:00 pm Monday-Thursday, and 7:00 am – 5:00 pm on Friday. The family is looking for a live-in House Manager/Nanny for their three children soon to be 8,6,3 years old. Their two eldest children go to school daily 8:00 am – 3:00 pm and have after school activities. Their youngest son will be in pre-school in the fall either half or full days. The family is looking for a House Manager/Nanny who is calm and confident, is professional and honest, and has high integrity standards set for themselves. The ideal House Manager/Nanny should be organized, have a loving heart, a quick thinker, and be considerate of others. The House Manager/Nanny would also need to be crafty, have a love of nature, have a passion for caring for children and families, and should make healthy lifestyle choices. The best House Manager/Nanny will be able to support the family by caring for the children when they are out of school, in the summers, evenings, and some weekend babysitting as needed. The House Manager/Nanny would be responsible for reading with and entertaining the kids, pool and swimming supervision, and general nanny responsibilities. House Manager/Nanny must have their own reliable transportation and feel comfortable transporting children to and from school and other activities. In addition to childcare the House Manager/Nanny would be needed to help with the following House Management duties: re-stocking groceries, meal planning, meal prep, some cooking, tidying home daily, laundry, helping children to keep their rooms tidy, picking up dry cleaning, errands, help with managing handymen if needed, supervising housekeeper, kitchen management, help with the dishes, accepting deliveries, packages, love the dogs, help the children with homework, keeping the home running smoothly, and helping with home organization. The family has two large dogs that would need minimal care and would be in the house. So, the House Manager/Nanny should be a dog lover, who will help with giving them water and walk them once daily when able. This position starts ASAP Pay offered is $36,500 plus room and board depending on experience and expertise, with a review every 6 months. The best candidate must also pass an in-person pre-screening interview, background check, reference check, be tobacco and drug-FREE, and be CPR/First Aid certified. Charlotte’s Best Nanny Agency is assisting a family in South Charlotte in finding a House Manager for their family. The family needs a House Manager Monday – Friday for 28 hours per week. The family has some flexibility when the House Manager chooses to start and end their day. With some weekend pet care as needed. This position starts ASAP. Salary and Benefits are offered with two weeks paid time off, sick days and continued pay while the family is away. The best House Manager candidate must also pass an in-person pre-screening interview, background check, reference check, be tobacco and drug FREE, and be CPR/First Aid certified. The family is looking for a live-out Nanny/House Manager that is experienced in caring for elementary school age children and a Nanny/House Manager who has had previous home management experience. The children are in school during the week from late August to late May. In the summers the children will be involved in different activities around town. During the school year, the family needs a Nanny/House Manager who will come in and help the children get ready for school, pack lunches, make sure they are prepared for school and take them to school. There are also days year-round when the boys are under the custody of their father who is no longer married to mom. When the children are in school from 9-4 and at their dad’s house, the family needs help with personal assistant and household management tasks such as running errands, laundry, changing bed linens, healthy meal prep and cooking (strong cooking skills for dinner meals are required), keeping the house tidy and well organized, and misc other household management task. The family does not need heavy house cleaning as they have a house cleaner that comes on a regular, weekly basis (Fridays). But it is expected they will keep floors and kitchen swept/clean during the week. Then the children would need to be picked up from school at 4:15pm and taken care of until their mom gets home. In the summers the position is heavier on Nannying as the children are home a lot more during the day. So the best candidate must be good with house management task and taking care of the 6 and 8 year old boys. The family’s older son has diabetes that needs to be managed. To assist in managing their son’s diabetes the Nanny/House Manager would be trained by the mom on how to count carbs and help John with the math of calculating his insulin needs before a meal. It is important that the Nanny/House Manager take their son’s diabetes management seriously and that they are somewhat good with math, as simple math equations are involved in managing their son’s diabetes. The mom will train the Nanny/House Manager and talk daily via text or phone to confirm math calcs. or answer any question as they team together. The family also has a small dog and rabbit that would need some care throughout the day (i.e. walking or letting the dog out in the yard, feeding or giving new water to the dog or Rabbit). This position starts ASAP and salary is offered at 40,000 a year with the right experience and expertise needed to perform this position. With two weeks paid time off, three sick days, paid mileage for errands and continued pay while the family is away and house manager duties are performed instead. The best nanny candidate must also pass an in-person pre-screening interview, background check, reference check, be tobacco and drug-FREE, and be CPR/First Aid certified. Charlotte’s Best Nanny Agency is assisting a family in Uptown Charlotte in finding a professional live-in House Manager/Pet Sitter/Nanny. This position would consist of working 7 days a week as needed. The schedule would work out to be about 30-40 hours of work per week, and schedule would be given in advance. Some weeks will be 7 days, but other weeks the House Manager will be off for days at a time, for long stretches as the family travels quite a bit. The family travels frequently, and they are in the process of adopting their first child, once they adopt their child then the Nanny/House Manager would be required to travel with the family and help care for their child when needed during these trips. This position would consist of taking care of the family’s three dogs a toy mini Girlie, a pocketbook Maltese (both under 3 lbs. ), and a Berniedoodle (15 lbs.). The dogs would need to be walked about 4-5 times per day. The House Manager would responsible for coordinating their dog training with their dog trainer and work with them on the commands the dog trainer teaches the dogs. Also, the House Manager would be responsible for coordinating their grooming appointments, making their food is stocked, and they have food and fresh water while the House Manager is on duty. The House Manager would also be responsible for keeping the owners and House Managers residences clean in between the times the cleaning service comes. The House Manager would be responsible for managing the cleaning services and being at the home when the cleaning service cleans. The family also request that the House Manager do the families laundry and keep all areas of the home tidy and in running order House Manager would also be asked to run any errands the family needed, grocery shop for the family, and keep groceries stocked in fridge and pantry. The family would need the House Manager to be proactive and anticipate the needs of the home. If the House Manager sees there needs to be a repair made to the home, the House Manager with permission of the family would need to coordinate and be there for the repair. The family is also in the process of adopting a child. This adoption could go through anytime in the first year of placement. Once the family is able to adopt their child, the House Manager role would turn into a Nannying/House Management role. At this point, the Nanny/House Manager would be expected to meet and exceed their child’s daily needs, and engage the child in activities throughout the day. The House Manager/Nanny would be responsible for tidying up the child’s area, stocking diapers other baby items, doing the child’s laundry, doing child’s dishes and sanitizing bottles, as well as any other duties related to the care of the child. The family would need the House Manager/Nanny to travel with the family, so House Manager/Nanny would need to be ok with traveling with the family for short periods of time. This is a full-time, live-in position. The living quarters for the best House Management candidate would include a separate two-bedroom penthouse condo in Uptown, across the hall from the family. The pay for this position is negotiable, with all your living expenses paid, except for food. Benefits include paid time off, paid holidays, all travel expenses covered, paid mileage, and continued pay while the family is away. The best candidate for this position would be experienced, trustworthy, flexible, and reliable. The best candidate must also pass an in-person pre-screening interview, background check, reference check, be drug-FREE and alcohol-free while on duty, and be CPR and First Aid certified.